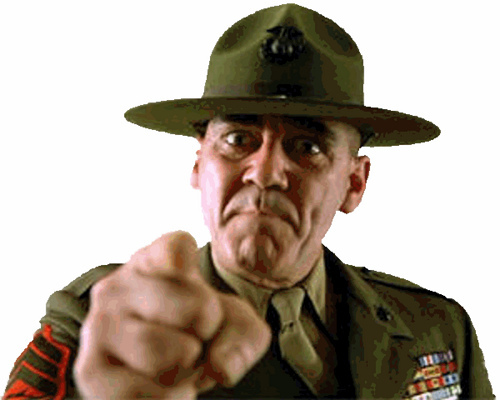 With visions of screaming drill sergeants and mean, sand-kickers going medieval all over everyone’s case, I decided the best thing to do was to play along and do my best to meet the challenge, and encourage others to do the same. 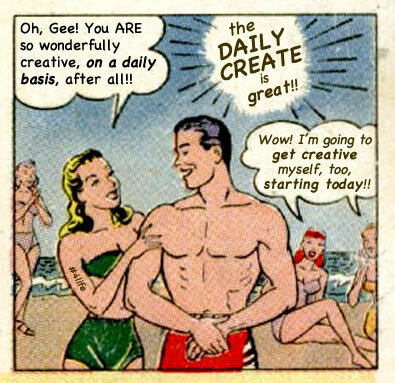 Alan’s Charles Atlas comic taunt was sufficient to prompt a similar Charles Atlas response. I was out of town during most of the intervening days, but with pretty much everything I needed in my backpack (with the exception of my USB mic, which was with me in my wheelie bag), the bits and pieces necessary to keep pace were close enough at hand. Tethering to my phone let me post from my non-internet enabled location. Day One: July 11th: tdc185: Draw a Tornado. I’ve already written about this one in “Tornado, Revisited,” but here again is the “drawing,” and then my subsequently animated GIF-version of the drawing process. Day Two: July 12th: tdc186: Make a photo of an outdoor scene free of any human artifacts. My little holiday get-away had me hanging out on the south shore of the St. Lawrence river in Québec near Rivière-du-Loup, and walks along the beach during low tide were part of my daily practice. 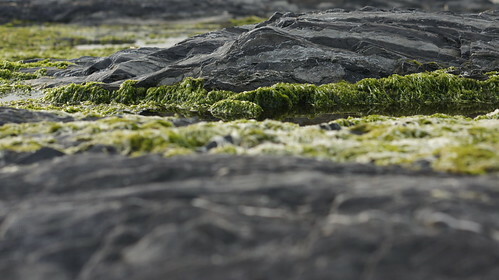 While collections of a variety of items, including “sea glass” and other human artifacts were of interest (a couple great stories to come over the next day or so), there were also wonderful opportunities to get images of nature, undisturbed. I snapped this image using my new 50mm lens, and later marvelled at the wonderful detail captured in this pic. Check it out in a larger form. On Monday, while in Ottawa (and dropping by the Rideau Centre Apple Store) I took a moment to view this image on a new MacBook Pro with Retina Display. Wow. Amazing. Day Three: July 13th: tdc187: Make a video of what is playing on channel 106 on your cable? (or make it up). This one was a natural “make it yourself” opportunity, since there was neither Internet nor Cable (and thus no Channel 106) where I was staying during the week. Although I sorted out an idea (based on a photograph I took on the beach), plotted an outline, gathered the footage, wrote a narration, and started to translate it, there wasn’t time on Friday to complete everything (a short film, entitled “Sur la plage”), and so what I edited together (while on the bus to Montreal on Saturday), wound up being a channel-surfing excerpt entitled “Les Escaliers” — a portion (and actually, only the final paragraph of the thirteen-paragraph narration) of the concept. Good thing my time was limited. The short film would have been waaaaaaaaaaay to much for The Daily Create. As it was, this took hours. Kudos to Spencer (@robertssw87) for the channel surf inspiration. I switched it up with a bit of a rationalization behind the meaning of the “ds” for Channel ds106 on cable. And waiting for the “static” file to download over my tethered connection while on the bus heading towards Montréal was worth it in the end. Day Four: July 14th: tdc188: Make an annoying 30 second pre-recorded telemarketing call. While many of my TDC items early in the week were influenced by my visit to the beach, this one wasn’t. This attempts to include some of the more annoying aspects of recorded messages which I get — most notably a continually received message that always starts in the middle of the message loop. I’ve also incorporated the content from a regular spam text/email notification that my Android phone number (don’t have one, likely never will), was randomly selected as a winner for a free MacBook Air w/2 TB drive (out of stock). I know you can’t get 2 TB notebook HDs yet, and pretty certain you can’t get 2 TB SSDs yet either. Just as the Of Bananas, Coconuts, and Organ Grinder: The Influence of Monkeys on Human Civilization radio show earlier in the course was an opportunity for me to get some familiarity with Audacity (rather than my usual tool-of-choice, GarageBand), I took advantage of this Create to practice those same skills. I’m liking Audacity more and more. Walking around the city of Montréal that day, in an incredible heat, and climbing all the way up the switchback paths to the summit of Mount Royale served to provide wonderful grist for my iPhone video camera. As it turned out, the heat the next day in Ottawa only served up additional images, and so this little Daily Create turned into a bit of a mega project. The spoken commentary at 2:00 minutes was done in one take — I edited it a bit with Audacity to remove a couple “ums” and some slightly-too-long “thinking gaps,” and then layered it back over the original video for that segment back in iMovie. Having this TDC lens in front of my eyes for the day was a prime example of how The Daily Create can really jump start your creativity. Despite the time spent on this one, I really enjoyed putting this together. The free water handed out by the Vitamin Water folks was pure serendipity (wonderful shirt! ), and the contrast provided by the vending machines at the summit of Mount Royale — and that long red hose watering the flowers, presumably pumped all the way up from the river level in the city far below — were moments of pure “found example” joy. The non-functioning “dry” fountain at the end was a great closer to punctuate the message. And the title of ‘s song from Jamendo is just another wonderful little bit to make this work. Day Six: July 16th: tdc190: Flip the decibels. 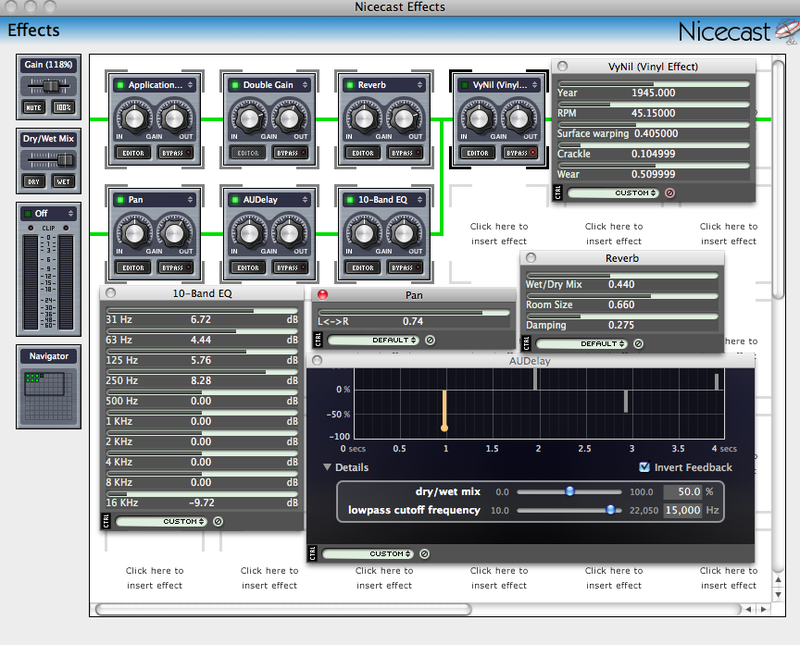 Make a loud sound soft, or a soft sound loud. By the time this one arrived, I was back home. And a bit tired. And certainly hot. So it wasn’t much of a stretch to join up Brahms’ Lullaby (I went with an anonymous MIDI version to avoid the potential of hurting anyone’s feelings with the manglement) and the fan, duking it out for the loudest influence on the pending sleeper. Clearly, the sleeper (me) won out in the end. Day Seven: July 17th: tdc191: Illustrate attraction in a photograph today. The reality of the pending Seven-Day-Challenge Mashup hit this morning, and I toyed with the idea of returning to the tdc189 “Technology I Can’t Live Without” iPhone “attraction” as a means of tying the week’s work together, as a chunk of it was facilitated by the phone. I also spent some time grabbing some video from Minecraft — scenes of how the critters there are attracted to wheat (it’s fun to run in circles and have a mass of chickens chase you), and how pairs of animals will be suddenly attracted to one another (and make a little baby animal) when you feed each of them a sheaf of wheat. 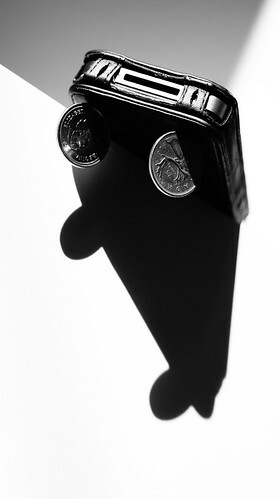 But then I found myself shooting pics of coins attached to the magnets in my pdo iPhone case. 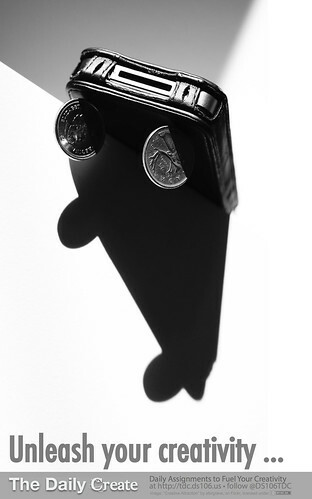 And as I moved around the room seeking some better light, I suddenly found the inspiration in shadows and location to create something more than just a photo of some coins stuck to my phone. Still, the photo alone seemed like a bit too little effort for the seventh day of the challenge, and I was inspired with @cogdog‘s enthusiasm to generate interest in The Daily Create, and so I spent some time turning the image into a poster, and then a new ds106 Design Assignment, #611: “‘Celebrate The Daily Create’ poster”. If you’re not yet following The Daily Create, the assignments are posted daily at 10 AM Eastern Time. Check out The Daily Create online and follow @DS106TDC on Twitter. Given that these items represent the individual The Daily Create elements for Alan’s Seven-Day-Challenge — the next task will be to complete a mash-up of items from the past seven days into some form of narrative, the final stage in completing the Seven Day Daily Create Challenge (and Mashup Thereof). That, and continuing towards my self-challenged #21daychallenge. As of tdc191, I’m on the 11th consecutive TDC. Who else is looking to extend their Seven-Day-Challenge towards a consistent daily habit? It’s fun! Unleash your creativity! and, perhaps most importantly, an understanding that a conscious effort, applied on a daily basis, was easily capable of instilling a new daily habit, whether it be photography or any other kind of endeavour. A technique that could be transferred, to other areas, be they intentionally creative, or otherwise. My enjoyment of the 2010/365 project led me to continue on into 2011/365. Armed now with a self-bestowed boxing-day present, a Sony NEX-5 DSLR (actually, an EVIL or MILC camera, the choice after conversations with @digitalnative and several months investigation), I continued taking photographs, using the new Sony, the older Canon, and the ever-present iPhone to capture daily events and thedailyshoot photo challenges. However, In August 2011, things got particularly busy (numerous trips, photo outings, and other things), my laptop hard drive became filled to capacity (Aperture and even the OS ground to a slow crawl as space for page swaps became virtually(pun) non-existent), and my habit faltered. September brought the return to school (numerous variables there) and October saw the end of thedailyshoot (after 690 prompts, it folded on October 6th, 2011), and by that time, the habit was upset. Despite a couple of attempted jump-starts (drives to visit the Muse Tree, for example, and the arrival of a new 2012/366 self-challenge), the daily practice of shooting and posting a photo to flickr had been disrupted. At any rate, very shortly after January 1st, 2012, @timmmmyboy tweeted out a few test posts related to something new, TheDailyCreate, which would provide a daily prompt, not always for photography, but also for audio, video, and other sorts of creative inspirations. After providing a few test posts, I saw the value in this new prompt source, and decided to try it out. Skipping forward over February – June, we arrive at July 11th, and what do I see but a challenge from the @cogdog , somewhat uninspired by the recent summer engagement in TheDailyCreate (yes, folks are on summer holidays, relaxing, BUT you still need to nurture that daily creative habit, folks — and to that I can attest! ), and so he presents a seven-day challenge. Do the daily create for the next seven days. Starting today. Starting NOW. Now, a couple years back, I employed a “follow 30 people for 30 days” mantra when introducing new folks to Twitter, as a way of helping folks “see, over time” how the social media service could be supportive of their work as educators. And if I recall correctly, research somewhere has indicated a “23-day” adoption period during which a daily application of a routine will result in the forming of a new habit. So I’m going to prematurely suggest that once you meet Alan’s seven day challenge, you repeat it, twice more. I figure 21 days ought to be close enough to 23 days for you to get the gist. And at that point, why stop? One caveat. You may find yourself pushed to complete some of TheDailyCreate challenges. I would suggest that if you struggle with one of them, go back in the Archives and complete another one from that same category and post it, with its respective tag, instead. While I’ve not employed that strategy yet, I’m going to deploy it starting today. Get your create on! Get it on on a daily basis. The Daily Create can get you started. How would you like to have the support of six seven classic authors sitting at your table, collaborating with you as you compose your next great piece of writing? My friend and colleague Doug Peterson has a new blog post waiting every morning at 5:01 am, and this morning’s post prompted me to immediately launch the web browser on my iPad to test out his latest find on the web, Google’s demo Masters Edition. Shortly thereafter, I was sitting at my computer, running a screen capture as I pounded out the opening lines to my next great epic. Now granted, I didn’t give The Masters a lot to work with. And I would assume that in their day they needed editing for context and syntax in their writing, too — in this instance, their contributions didn’t necessarily always get the gist spot on. Perhaps I was expecting that their additions would automatically improve the quality of the writing piece, and rather, need to see them more as collaborators, merely contributing suggestions. It must be up to us as the writer to make the final call. Here is my tentative text, augmented with colour to highlight each author’s initial contribution. You will note that a couple of extra lines were added by Poe and Shakespeare after the video capture was stopped. Clearly, those two weren’t paying attention at the time. It was a gloomy and stormy night. 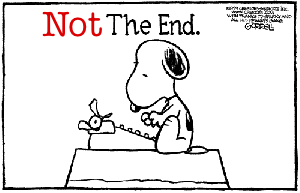 Snoopy comfortably esconced huddled over his typewriter. That dratted Black Baron was up to no good again. Suddenly, Woodstock as well as his tiny little yellow friends appeared, flittering around the dog house, attempting to cheer Snoopy up. As the shining eye of heaven rose, and Snoopy’s Sopwith Camel rose into the sky and headed into battle, the birds began to issue forth their morning war cry, and the day was good. I wish I could write as mysterious as a cat. … Let not sloth dim your horrors new-begot. I’ve indicated below my take on the contributions (how many of their suggestions “might work” out of the total number of suggestions offered). • Dickens 0/1 totally out of context, man! • Poe 2/7 points for effort, Edgar! Not sure about that cat comment though. While I don’t know that I would select any of Poe’s suggestions specifically, at least, “gloomy,” “as well as,” “presently,” and “imagined” kind of fit into the flow. So half a point each. But changing the Red Baron to the Black Baron is right out. • Shultz Great characters, that dog house setting is a little sparse. So. This initial attempt results in a question. Would a longer engagement with the Google Docs: Masters Edition result in improved product? (Maybe a bit more engagement on my part might help?) Perhaps the act of contemplating the suggestions of others is the intent — whether their suggestions themselves are incorporated, or rather simply serve as springboards, and create pause for reflection. Would I press on with more formal narrative writing, looking to see improvement from this tool? Or is it more of an amusement? Perhaps you can give it a whirl and offer your own thoughts? 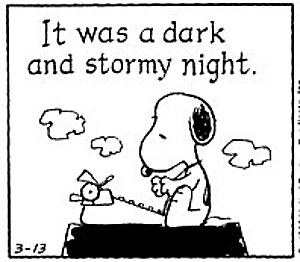 By the way, while a search on Google resulted in multiple instances of Shultz’s image of Snoopy typing “It was a dark and stormy night,” these two images both came from a post titled “11 Great Writing Tips and Overcoming Writers’ Block.” FWIW. If you are interested in seeing the real time authoring, I’ll be posting it to the Youtube. Imagine a life where possibilities are opening at a speed that veers unpredictably between exhilarating and terrifying. The familiar, precisely because it’s familiar and safe, still tugs at you, but even so, you want out because your old life constricts as much as it comforts. Besides, your social milieu, which often feels like an endless struggle to achieve, or resist being slotted into some arbitrary niche—pretty, ugly, smart, dumb, athlete, klutz—is changing fast. You feel driven—by inner need and outside pressure—to make choices. Meanwhile, the manipulative, often harsh, powers that be, who created the larger world they’re busy shoving you into, have clearly not done a bang-up job of it, either in their personal lives or as part of society. And they want you to get out there and ?x their mistakes—just at a moment when worry over the imminent demise of their entire socio-economic structure is never far from the surface. It can be cruel and scary out there. Dystopian, even. Chances are, anyone not imagining this life, but actually living it, is a teenager.